View More In Camping Furniture. This is a bundle of 2 Green Tommy Bahama Backpack Beach Chairs + 1 medium Tote Bag. **The tote bag is NOT a Tommy Bahama article** FAQ: -How high is the seat from the ground? The seat is 9 inches from the ground. -What are the dimensions of the tote bag? The tote bag's dimensions are 20 x 13 inches. 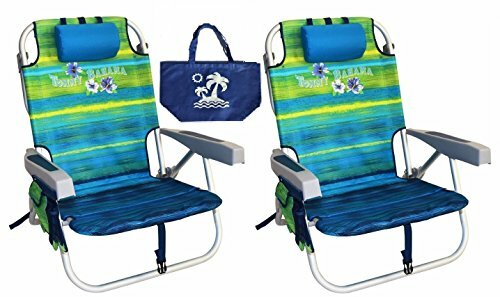 World Outdoor Products Lightweight PROFESSIONAL Tall Directors Chair with Side Table, CUSTOM ZIPPERED STORAGE CARRY BAG, Cup Holder, Footrest, Carry Handles, Side Storage Bag, Lower Level Storage Net.